We also go to the farmers’ market in Burlington almost every weekend, so we often end up buying even more produce than we can handle in a week! 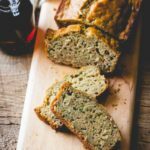 This easy refined-sugar-free maple zucchini bread is sweetened with the goodness of our dark pure maple syrup. Plus we’ve also sprinkled on a little granulated maple sugar too. That’s optional, so if you don’t have any just skip that part. This recipe is adapted from my cookbook: Maple: 100 Sweet and Savory Recipes Featuring Pure Maple Syrup, Quirk Books. You can order a signed copy right here. Leave us a comment below letting us know if you made this recipe. And let us know if you’ve been growing zucchini in your garden this year. 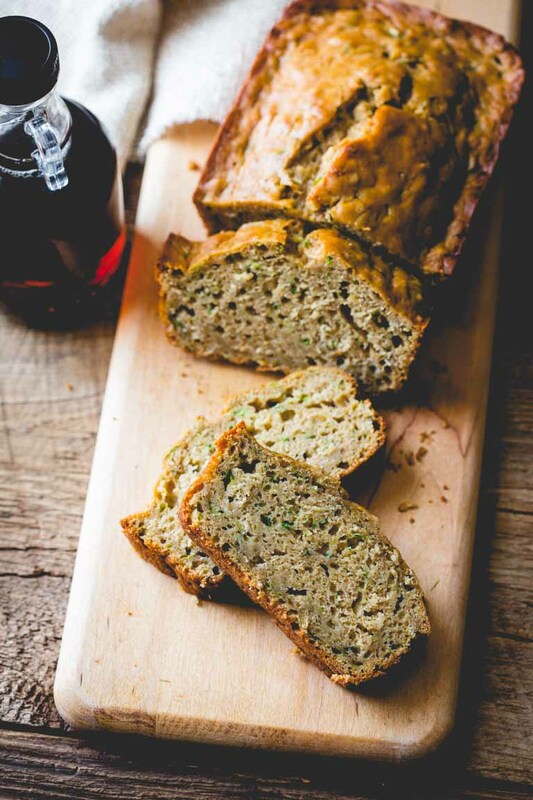 These wholesome zucchini-packed loaves have a light maple sweetness. Slices are sturdy enough to pack into a lunchbox thanks to a hearty dose of oats. Whisk whole-wheat flour, all-purpose flour, cinnamon, baking powder, baking soda and salt in a medium bowl. Beat maple syrup, eggs, oil and vanilla in a large bowl with an electric mixer on medium speed until smooth. Beat in butter. Stir in zucchini. Add the flour mixture and stir until just combined. Add the oats stir until just combined. Divide the batter between the two prepared pans. Sprinkle with maple sugar if using. Bake until golden brown, puffed and a toothpick inserted in the center comes out with moist crumbs attached, 50 to 56 minutes. 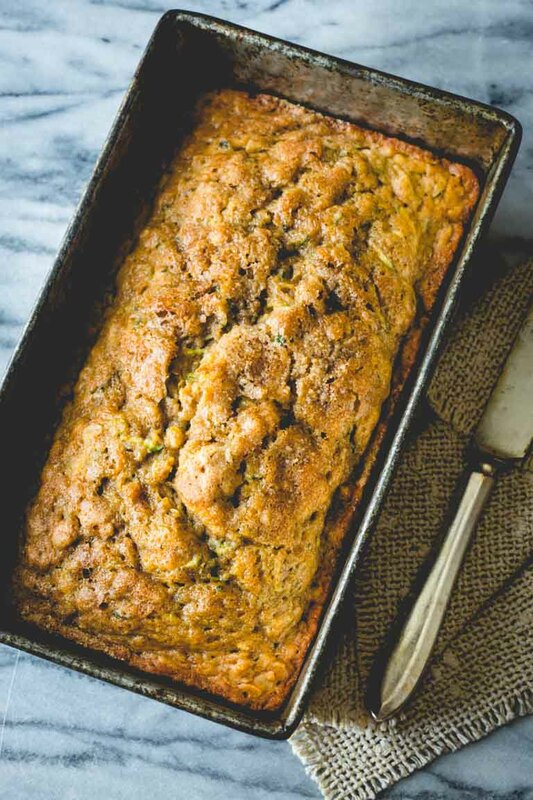 Allow loaves to cool in their pans at least 15 minutes before turning out onto a wire rack to cool.